The tensile stress in a hollow cylindrical superconductor completely restricted by a metal tube in a parallel magnetic field is investigated. Using the plane strain approach, analytical expressions for the stress distribution of the superconductor and the contact stress between the metal tube and the superconductor are obtained and show that both the ratio of Young’s modulus and thickness ratio of the high-temperature superconductors and the metal tube significantly affect the stress distribution in the superconductor explicitly. In addition, the flux pinning-induced stress in the above-mentioned superconductor is systematically studied by the exponential critical state model during the field cooling process. The results indicate that the metal tube can reduce effectively the tensile stress in the hollow cylindrical superconductor during the magnetization process. 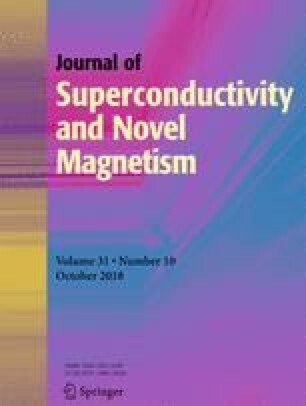 The findings suggest that the appropriate selection of material parameters and size of the metal tube can improve superconductor performance efficiently. This research was supported by the fund of Natural Science Foundation of China (No. 11662009), Natural Science Foundation of Gansu Province (No. 17JR5RA129), and the Fundamental Research Funds for the Universities of Gansu Province.